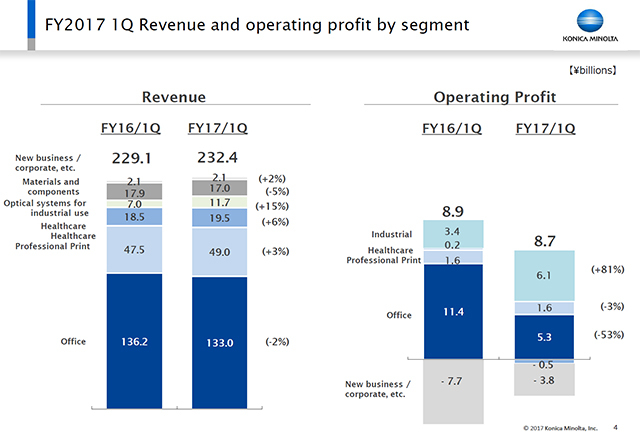 This slide shows a bar chart of revenue and operating profit by segment. I think you can see from this that the structure of operating profit has changed considerably since last year. I will explain the causes later.